Who is General John Kelly, Why is He Resigning, Who is The Son - Robert Michael Kelly? Who is General John Kelly, Why is He Resigning, Who is The Son – Robert Michael Kelly? The rift between General John Kelly and President Donald Trump created some tensions around the white house. Worst still was the news about the general’s resignation which went viral. Trump was the first to announce the departure of his close pal via his twitter handle. Days later, he confirmed that Mick Mulvaney would be replacing him as the chief of staff. “I am pleased to announce that Mick Mulvaney, Director of the Office of Management & Budget, will be named Acting White House Chief of Staff, replacing General John Kelly, who has served our Country with distinction,” Trump tweeted, in part on December 14, 2018, hailing the general as a “great patriot”. Kelly who was a retired Marine general was one of Trump’s first pick for the Cabinet. Unfortunately, he hasn’t had the same role throughout his administration partly because his rigidity alienated most of Trump’s longtime allies, thus making him increasingly isolated both from his duty and from the President himself. Let’s learn more about what exactly led to the chief’s resignation. Who is General John Kelly? John Francis Kelly who is famously known as “the General” or the “Chief” is a retired four-star Marine Corps General who served as the White House Chief of Staff for the U.S 45th President Donald Trump from July 31, 2017, to January 2, 2019. He is a native of Boston, Massachusetts who was born on May 11, 1950, to John F. Kelly of Irish ancestry and Josephine “Honey” (Pedalino) of Italian descent. He went to the University of Massachusetts Boston for his degree and after graduating in 1976, he attended the Georgetown School of Foreign Service for his Master of Arts degree in National Security Affairs. Kelly also obtained a Master of Science in Strategic Studies, from the National Defense University based in Washington, DC. Prior to his time at the University of Massachusetts in Boston, Kelly who grew up in an Irish-Catholic family enlisted in the Marines in 1970 and was discharged in 1972. He was also commissioned as a second lieutenant on December 27, 1975. He served in the U.S military in the marine division from the early 70s to 2016 although he was inactive between 1972 and 1975. After serving in different positions in the U.S marine – including as the commanding officer of the 1st Light Armored Reconnaissance Battalion, special assistant to the Supreme Allied Commander, Europe, in Mons, Belgium, and many more- Kelly was promoted to brigadier general in March 2003 and by January 31, 2012, he was among those nominated for the post of a General. He was confirmed so by the U.S Senate on July 26, 2012, and by November 19, 2012, he succeeded General Douglas M. Fraser as commander of U.S. Southern Command. 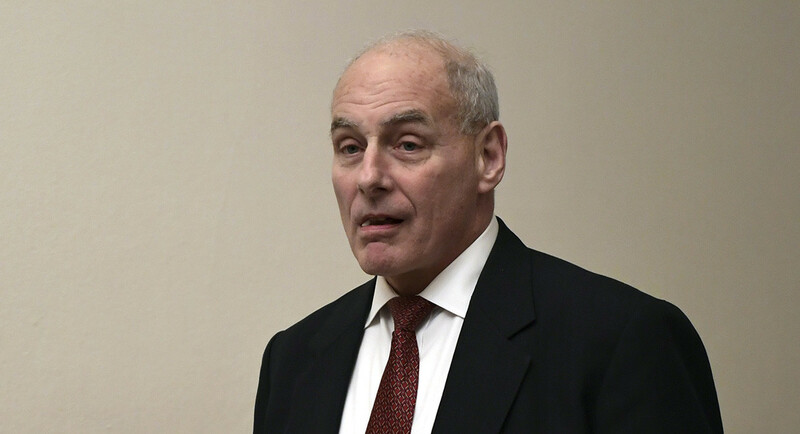 In 2016 when Donald Trump was the U.S President-elect, he nominated Kelly as his Head of Department of Homeland Security at the cabinet level. He was sworn on January 20, 2017, and he served in that position until July 28, 2017, when he was appointed to serve as the White House Chief of Staff. Officially, Kelly served his country for more than 45 years – first as a Marine and then as the Secretary of the Department of Homeland Security before his appointment by President Donald Trump. John Kelly replaced Reince Priebus as the White House Chief Of Staff in July 2017. Like some other top officials selected by Trump to serve in his administration, Kelly got the news of his promotion via the presidential tweet. During Kelly’s time at the White House, rumours about him and the presidency went viral. Among the most viral news about the two was the tension caused by Kelly’s inability to stabilize and control the West Wing. Obviously, the General who was appointed mainly to bring orderliness to the untraditional White House appeared to have failed especially as some of his decisions strained his relationship with some ofTrump’s most influential outside allies. Kelly probably thought he would tame the president and bring the white house to order through his martial regime but Trump, a renown businessman seemed to prefer a flatter organization for his White House staff and to achieve that, he gradually relinquished Kelly’s duties making him “the chief” only in name. Among other issues that signalled his removal was his handling of domestic violence accusations against the former White House staff secretary, Rob Porter; his shouting match with John Bolton, the national security adviser; his alleged firing of Omarosa Manigault, a White House staffer; and his attempt of asking Trump’s own daughter Ivanka to report to him. Before his official resignation on January 2, 2019, Kelly had made jokes of his duty in the White House, adding that his service under President Donald Trump was harder than his previous jobs, including on the battlefield. Who is The Son – Robert Michael Kelly? John Kelly is married to Karen Hernest and they have been together as husband and wife since 1976. Together the couple has three children namely Robert, John Jr., and Kathleen. Robert and John followed their father in the Marine Corps but in November 2010, Robert the first Lieutenant stepped on a land mine in Afghanistan and was killed. 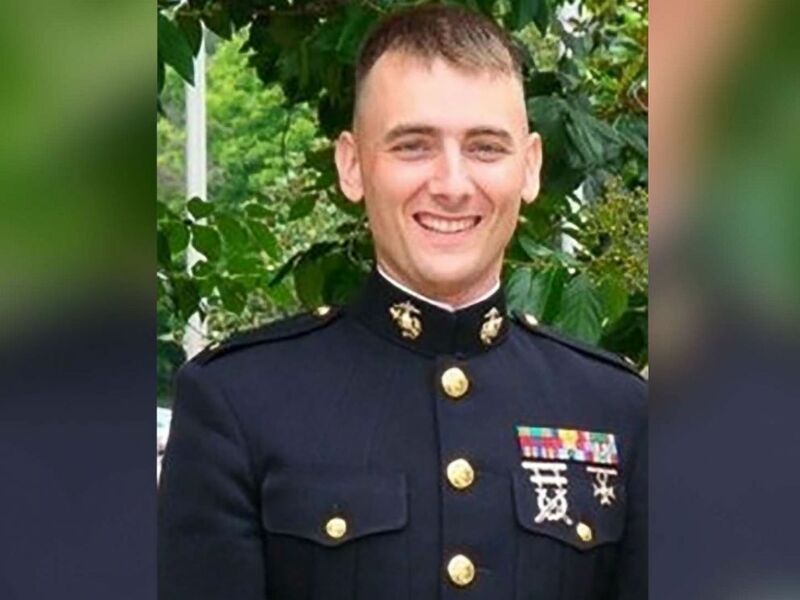 Robert who died at the age of 29, was killed while he was leading a platoon of Marines in their third combat deployment. His death came at the time when John Kelly was involved in a controversy when Trump alleged that the former U.S president Barack Obama did not call the families of soldiers killed in action, including Kelly. Michael Kelly who lived in Tallahassee, Florida, and graduated from Florida State University, was enlisted in the Marine Corps a few days after his graduation. At the time of his death, he was married to Heather Landry, whom he met at Florida State University. John Kelly referred to his son as the finest man he ever knew.